Step by step instructions with detailed video recipe. ransfer some water to a cup from the soaked rice and grind the rice to a fine paste as shown. now add coconut and grind it. make sure not to grind this to fine texture. You have feel the coconut in the batter. 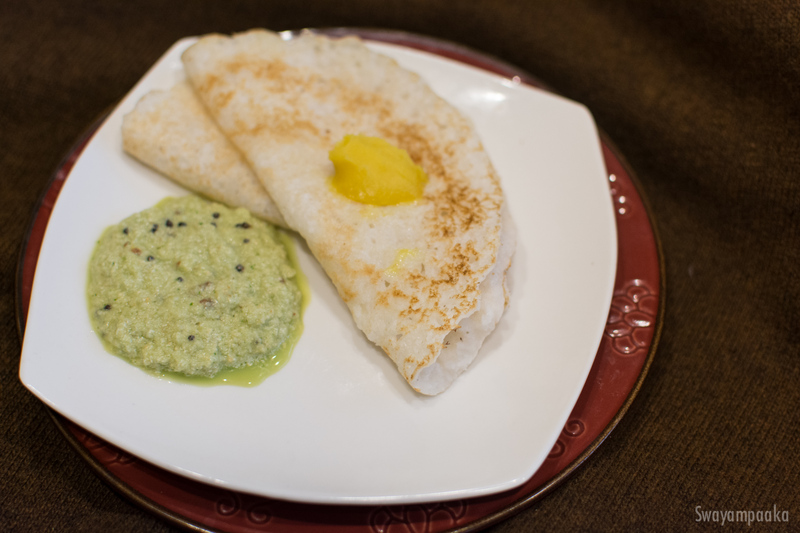 Once the tava is hot, take a ladleful of batter, pour it in the center of the tava and move the ladle in a circular motion to make a circle, The dosa has be little thick compared to the regular dosa.